MikroTik provides wireless ISP systems for Internet connectivity in most of the countries around the world. MikroTik experience in using industry standard PC hardware and complete routing systems allowed us in 1997 to create the RouterOS software system that provides extensive stability, controls, and flexibility for all kinds of data interfaces and routing, this software based on Linux. In 2002 MikroTik decided to make our own hardware, and the RouterBOARD brand was born. MikroTik have resellers in most parts of the world, and customers in probably every country on the planet. MikroTik RouterOS software is divided to levels ,as a part of software option and price. Level 6 is the highest level ,so all options are enable and unlimited. Every MikroTik model has level number ,products with lower level is suffer from limited option or options that is in disabled mode. for example , if we take level 3 , we see that items with level 3 cant operate as Wireless Access point, and the numbers of session is limited to 10 sessions, while on Level 6 all option is unlimited. All MikroTik items arrive with level number according to product model, That means We don’t need to pay for RouterOS when we purchase MikroTik products. Big advance of RouterOS software is that client can buy RouterOS software separately (without hardware) and install it on Regular X86 pc. The client can chose The RouterOS Level 4 – 6 on purchase time , of course each level have different price, and level 6 is the most expensive license. The RouterOS is a operating system, you can’t install RouterOS with other operating system. All items in this group are license from level 4 – level 6. Number of port are marked with “G” , number of SPF port mark in “S” And the number of core found in the model number. MikroTik is within few companies that support large types of boards, With big different hardware types. the RouterBOARD are very flexible in hardware design, and can Assimilation in other product. We need to add accessories, like : power supply , POE, case , cables ,and more.. If we want to add wireless function, then we need to add : wireless cards , RF cables Antennas Etc. And achieve large and reliable bandwidth. And some of the products come with this interface ( SFP). This Interface can reach to 20km of fiber optics . Transferring RouterBOARD into dynamic, reliable wireless system. The wireless system can produce power output up to 1600mW with AC protocol. That give option for building flexible product. The main connection for MiniPci are UFL or MMCX. And to save connection and cables to the user. 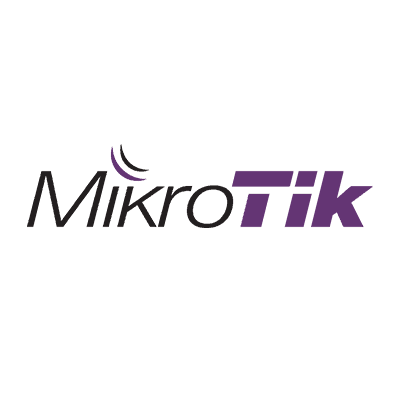 Dipole Wireless Communication Ltd is authorized distributor of MikroTik in ISRAEL.